Beijing, China’s air pollution levels rose to more than 20 times the World Health Organization (WHO) standard this weekend. As China extends its global influence, many Beijing residents are loathe to leave their apartments. Dark, smog-filled skies led to a flurry of Twitter messages from China’s capital about suffocating air pollution that had many who could staying indoors and maxing out their air filters to protect their health. While the Chinese state’s official Xinhua news agency reportedly downplayed the choking grayness as “haze”, there was no denying the startling output of air pollution monitors maintained by the U.S. embassy and Chinese government. As evidence mounts about the country’s growing pollution problem, China’s new leadership grapples with the stiff challenge of balancing economic growth with public health and sustainable development. A host of haunting images from Twitter users in Beijing painted a moving portrait of a city shrouded in smog. Mike Forsythe, a Bloomberg reporter in Beijing @PekingMike, posted “Mordor” with a link to the ominous picture below. Mordor refers to the realm of the Lord of the Ring that is bounded by mountains on three sides in J.R.R. Tolkien’s fictional universe of Middle-earth. The mysterious, satirical Ministry of Harmony account @miniharm quipped, “BREAKING: 70% of Beijing Residents Who Went Outside Today Now Have Lung Cancer” with a link to its site and the image below. 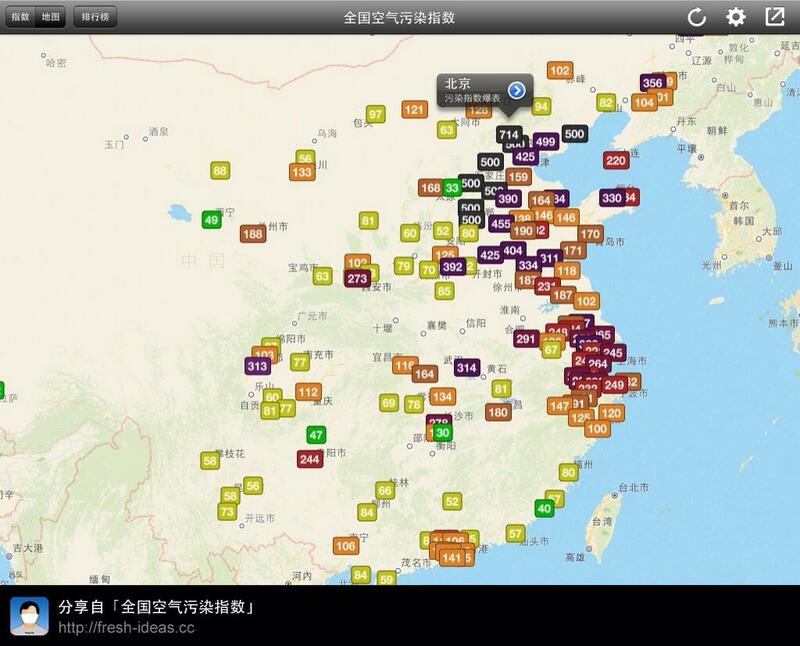 “Choke gasp cough sputter wheeze hack RT @beijingair: 01-12-2013 13:00; PM2.5; 458.0; 472; Hazardous (at 24-hour exposure at this level),” came a tweet from @KaiserKuo, a writer, rock guitarist and executive at Baidu, China’s dominant internet search company. Mr. Kuo is probably best known as a founding member of Tang Dynasty, often credited with being China’s first heavy metal band. @BeijingAir is the twitter handle for the hourly readings relayed directly from two pollution monitors (MetOne BAM 1020 and Ecotech EC9810) perched on the roof of the U.S. embassy in Beijing’s Chaoyang district. The cryptic code refers to the type of pollutant (e.g., PM2.5), concentration (458.0), AQI (472) and the air quality classification (hazardous). 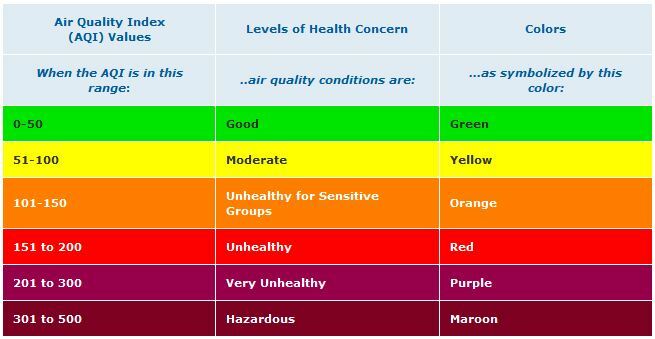 The U.S. Environmental Protection Agency (EPA) describes the Air Quality Index (AQI) as a color-coded tool that classifies the level of air pollution and helps people take measures to protect their health. The AQI converts concentrations of fine particles to a number on a scale ranging from 0 to 500. Air quality conditions range from “Good” to “Very Unhealthy” to “Hazardous”. For the WHO, U.S. and China, the air quality standards for PM2.5 fine particle pollution for any 24-hour period are 25 μg/m3, 35 μg/m3 and 75 μg/m3, respectively. China’s air pollution standard is already 300 percent more lenient than the WHO standard and more than twice as lenient as the U.S. standard. 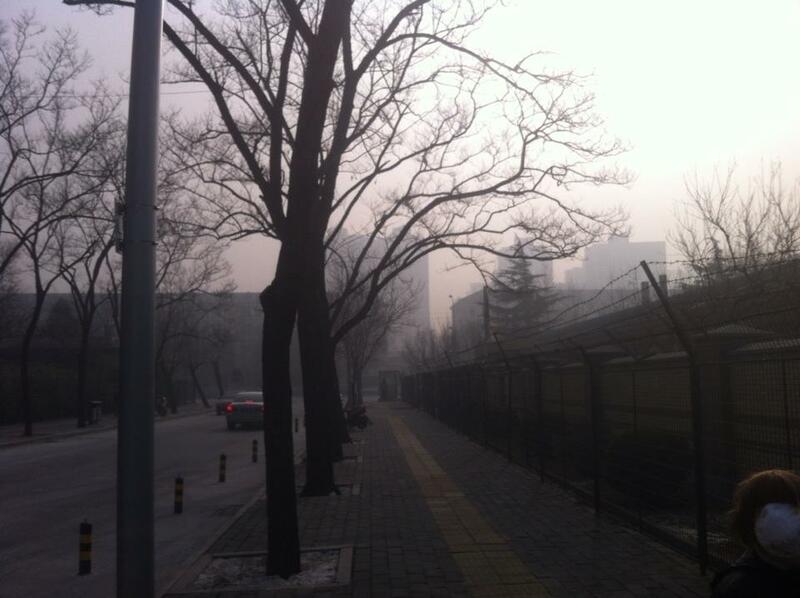 On Saturday, January 12 at 8 p.m., @BeijingAir issued the following reading: “01-12-2013 20:00; PM2.5; 886.0; 755; Beyond Index”. In other words, Beijing’s AQI of 755 was way way off the charts, exceeding the upper limit of the “Hazardous” category by some 255 points! The health implications of Beijing’s latest and greatest pollution spike and China’s long-term air quality issues have not been lost on local residents or the medical community. Edward Wong, The New York Times correspondent based in Beijing @comradewong, Emily Brill @EmilyJBrill and @PekingMike exchanged Twitter messages about the merits of wearing face masks to limit the pollution intake for those who dared to go outside. Mr. Forsythe raised a conundrum about masks fogging up glasses, asking: “What’s more dangerous? Crossing a Beijing street blind or breathing air?” Another argument for staying indoors. Back in March 2012, Dr. Zhong Nanshan, president of the China Medical Association warned air pollution would become China’s “biggest health threat” if the government did not act, according to an article by Jonathan Watts (@jonathanwatts) in the Guardian. Mr. Watts describes Dr. Zhong as the country’s leading respiratory disease specialist who is credited with exposing the cover-up of the 2002 SARS epidemic. 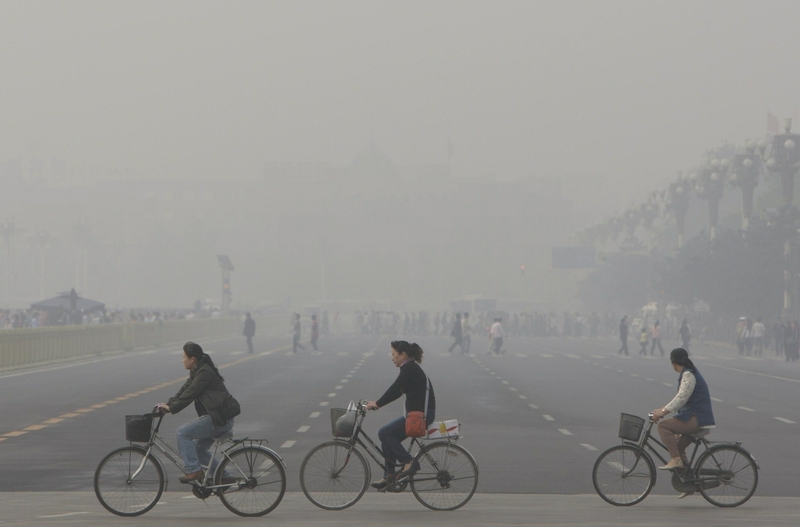 Recent health research sheds more light on the severity of health risks posed by growing air pollution in China, India and other developing countries. In East Asia, including China, and South Asia, including India, outdoor air pollution, mainly of the PM2.5 variety, is the fourth and sixth, respectively, leading risk factor behind the diseases that place the greatest burden on society. These findings come from the massive long-term, multi-country Global Burden of Disease Study 2010 published in the Lancet in December 2012. 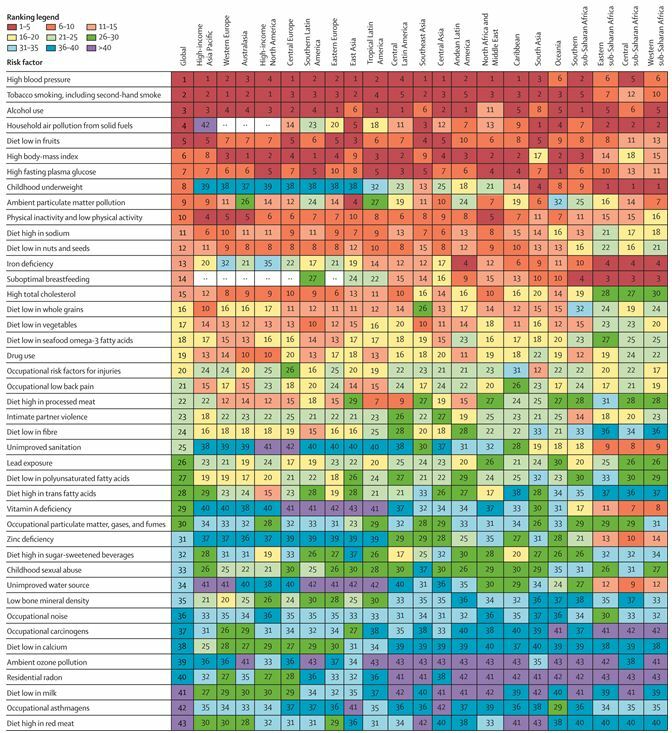 The chart below from the Lancet study shows the top risk factors for each geographic region based on their impact on the global burden of disease in 2010. Outdoor air pollution (“Ambient particulate mattter pollution”) is the ninth risk factor down in the left-hand column. Geographic regions are listed across the top. Much of Beijing’s deteriorating air quality can be traced to the nature of economic development in China and other emerging markets. China’s industrialization and rapid growth has largely been fueled by a voracious demand for fossil fuels. Just published in December, the International Energy Agency’s (IEA) Medium-Term Coal Market Report 2012 predicts coal will come close to overtaking oil as the world’s top energy source by 2017. During the next five years, the IEA expects China’s coal demand to surpass the rest of the world and India to become the world’s second largest consumer of coal, ahead of the United States. 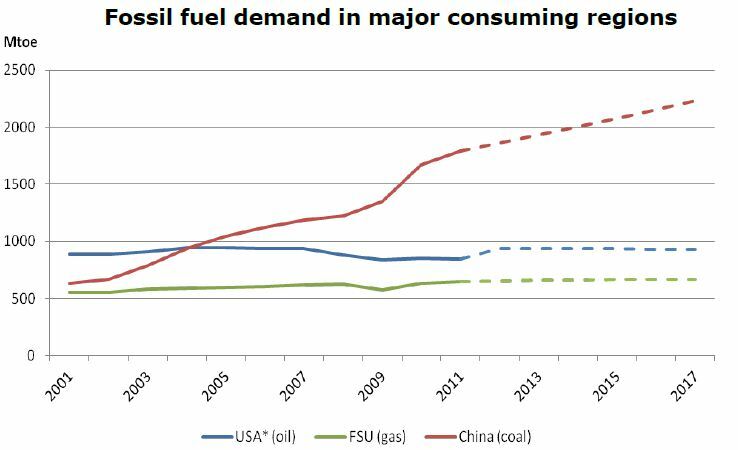 The chart below shows China’s coal demand has already more than tripled since 2001. The map of China’s recent air pollution readings below from @TualatriX confirms the highest values seem to be concentrated in the most industrialized parts of China in the north and along the coast. In the immediate term, China observers have suggested the unusually cold winter in Beijing has exacerbated pollution by driving up coal consumption. It seems many people across frigid Northern China who want to stay warm have little choice but to risk their health by burning more coal, charcoal, wood or other polluting biomass. “An explosion of car use has made fast-growing Asian cities the epicenter of global air pollution,” according to an article by John Vidal (@john_vidal) for The Guardian. Referencing the Lancet’s global burden of disease study, Mr. Vidal observes, “more than 2.1 million people in Asia died prematurely from air pollution [in 2010], mostly from the minute particles of diesel soot and gasses emitted by cars and lorries [trucks]. Other causes of air pollution include construction and industry.” East Asia accounted for 1.2 million of these deaths and South Asia another 712,000. 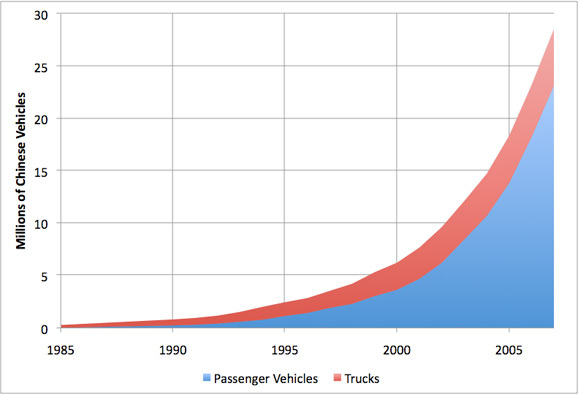 The chart below from Stuart Staniford’s “Early Warning” blog shows the sharp increase in car demand that has accompanied China’s economic development and the rising incomes of Chinese households. As the old adage goes, the first step in addressing China’s air pollution and environment problems is admitting they exist in the first place. 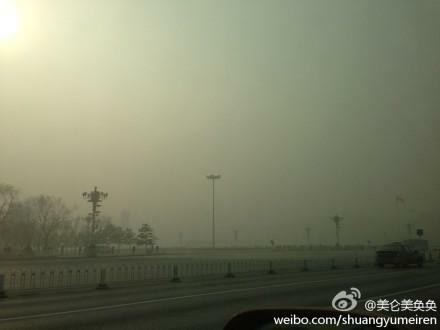 Media reports suggest China’s government has delayed taking China’s air quality issues seriously for years. As recently as last June, the Chinese government warned the U.S. Embassy in Beijing “to stop telling the world how bad the capital’s air really is,” according to an article by Peter Ford in The Christian Science Monitor. Fortunately, the Chinese government has slowly come around to recognizing the need to monitor and take action to improve China’s air quality. In 2012, more than 60 Chinese cities began to monitor and publish levels of PM2.5 concentrations according to an article by Ma Jun, a leading Chinese environmentalist, published on China Dialogue’s site on January 9. Coincidentally enough, the Chinese government’s Ministry of Environmental Protection announced 74 Chinese cities would begin issuing real-time air quality monitoring data starting January 1, 2013. Ranked #1 on Fast Company’s 2012 list of the Most Creative People in Business, Mr. Ma’s Chinese NGO, Institute of Public and Environmental Affairs, has built an open-source online database of water, air, and hazardous-waste pollution records that has helped IPE volunteers identify some 97,000 records of factories operating in violation of China’s environmental laws. Mr. Ma’s clients include the likes of Walmart, Coca-Cola, GE, Levi’s, Microsoft and Nike according to the Fast Company article written by Christina Larson (@larsonchristina). Mr. Ma points out that whether actual monitoring and public information services go into effect has much to do with the local cities’ implementation efforts. By early December 2012, only Shanghai and cities in Guandong, Zhejiang and Jiangsu provinces published the AQI readings, color-coded warnings and public health guidance that the Ministry of Environmental Protection first outlined in 2011. 3) Identify the key sources of pollution and commit to specific targets and a timetable for reducing pollution. Prospects for Quality, Low Carbon Green Growth? Fortunately, there is another side to China’s economic development plans. As they strive to meet the energy needs of the world’s second-largest and steadily growing economy, China’s government and many companies also seem to recognize the local need and potentially huge global market for sustainable, low-carbon technologies and businesses, which could go a long way toward helping improve air quality. China’s 12th Five Year Plan (2011-2015) includes massive investments in infrastructure development and clean energy. The plan commits about $290 billion to clean energy projects with the goal of producing 20 percent of the nation’s energy from renewable energy sources by 2015. Chinese companies already account for a substantial share of the world markets for solar and wind power. Over the next ten years, China plans to spend as much as $6.4 trillion building cities and towns for an urban population forecasted to hit 400 million people by 2022. As if omnisciently, the Ministry of Environmental Protection announced plans in early December to spend $56 billion by 2015 on curbing air pollution in 117 major cities across China. Most of the funding will come from local governments. Unfortunately, despite the seemingly robust budget, the program reportedly has a rather modest, if not negligible, goal of reducing air pollution levels by at least five percent by 2015. Hopefully, recent events will be cause for setting far more ambitious targets. The growing frequency and threat of destabilizing social unrest in China is likely to help expedite public and private efforts to improve air quality and protect the environment. More than 100,000 protests in excess of 100 people each has become an annual occurrence in China in the past several years according to a 2013 report by the Chinese Academy of Sciences. The report’s editor, Professor Chen Guanjing, explained that pollution and labor disputes accounted for about 30 percent of these uprisings, while land grabs comprised about half. The enormous scale of China’s economic development, urbanization and infrastructure investments will have a defining impact on resource consumption, climate-altering carbon emissions and pollution levels in China and the world beyond its borders. The extent to which China and its international development partners manage to construct cities and public infrastructure that promote environmentally responsible living and green growth may well determine the course of public health and sustainable development for the foreseeable future.